"Inheritance Tax matters to people"
Inheritance Tax appears to be an almost uniquely unpopular tax. In a 2015 YouGov survey, Inheritance Tax was seen as the most unfair of 11 major taxes, with 59% considering it ‘unfair’ and only 22% ‘fair’. The Office of Tax Simplification (OTS) was asked last year by the Chancellor to carry out a review covering a wide range of both administrative and broader technical aspects of Inheritance Tax. The OTS has released the first part of its report into inheritance tax following a consultation which received an unprecedented level or responses demonstrating as stated by Philip Hammond in his letter to the OTS – “Inheritance Tax matters to people”. Each year, fewer than 5% of estates in the UK are liable for Inheritance Tax. However, the number of liable estates has increased every year since the 2009 to 2010 tax year. This is partly because of the freeze of the Nil Rate Band (the amount before which inheritance tax is payable) and partly due to increasing estate values. Much of the increase in estate values is due to increased residential property values. However, despite only 5% of estates being subject to inheritance tax the HMRC forms still have to be completed for half of all deaths. UK Inheritance Tax is set at 40%. However, the rate actually paid by the average estate is much lower than the headline rate. It peaks at just over 20%. The report indicates that most people are concerned about the administration of the tax; areas of complexity within the rules and wider perceptions about the tax generally. Respondents to the survey who did not use an adviser recalled spending 50 hours or more on estate administration which was largely a result of time spent understanding and completing the relevant forms, and obtaining probate. Only 11% of respondents who did not use an adviser stated that they found the process simple and user friendly. The overall picture presented by the report is of the administrative burden for personal representatives. The key administrative recommendation is for the government to simplify this by giving renewed consideration to digitising and simplifying the process. We can only hope that the recommendations set out in the report should, if implemented, go quite some way to reducing this burden at what is often a difficult time for people. Key Points What is the issue? 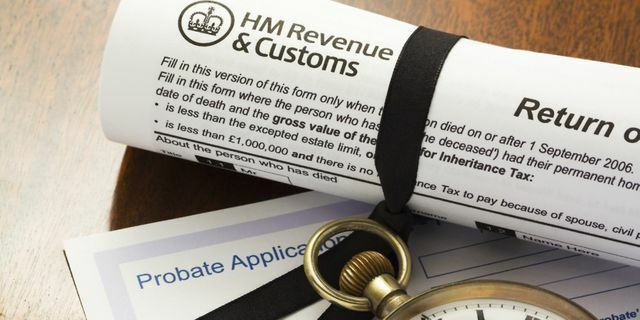 The OTS has published the first of two reports on inheritance tax. There is a huge opportunity to reduce the ‘form-filling’ that particularly burdens people at what can be a very difficult time. Other areas of IHT will be covered in a second report in the spring. What does it mean to me? There is still an opportunity to send in thoughts on other aspects of inheritance tax as the OTS completes the review over the next few months. Many people worry about IHT even though there might be no liability on death and the OTS will continue to examine how the tax can be better explained and communicated.